Our friend Kathleen Schatzberg is at it again. 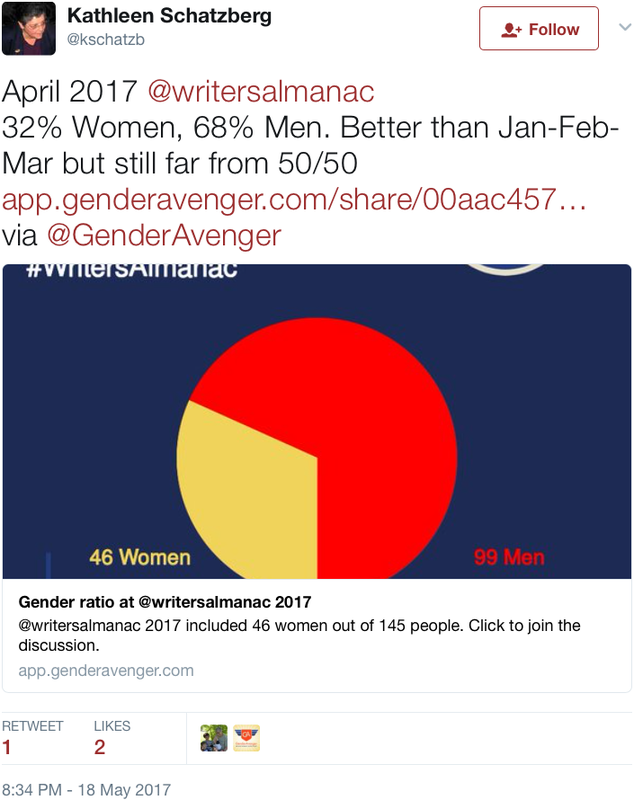 She’s keeping tabs on The Writer’s Almanac and their representation of women. Things are looking up since last quarter, but they’re still not good enough. Our friend @kathleen.schatzberg is at it again. She’s keeping tabs on @WritersAlmanac and their representation of women. Things are looking up since last quarter, but they’re still not good enough.